6. 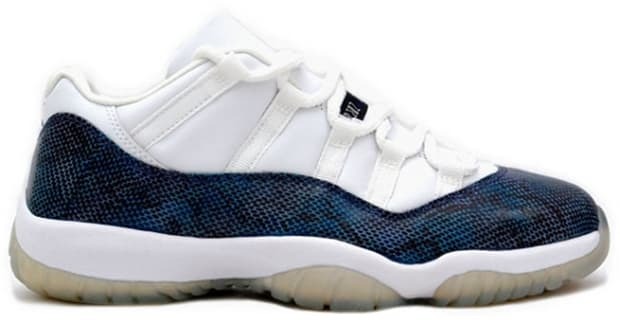 Air Jordan XI Low "Snakeskin"
At the time, these didn’t get much love, often appearing at outlets and being sold for less than retail. Low XIs on the whole definitely didn’t see as much attention as the mids, and the snakeskin pattern was something new, so many sneaker lovers didn’t take to the drop of the patent and addition of an actual print instead. Hopefully back in ’01 you didn’t sleep on this unique pair from Jordan because finding a pair today will have you reaching deep into your pockets.